Having hinted at a change in direction with a soundcloud-only release at the start of the year, Hamburg duo Digitalism (Jens Moelle and Ismail Tüfekçi) is finally back for our listening pleasure with ‘Wolves’; the first proper single that further underlines this new direction. The boys spent the early part of this year in L.A., writing and producing new music, road testing new demos and trying out new ideas by going back to their roots and causing havoc amongst fans at their twice monthly East L.A. Warehouse parties. 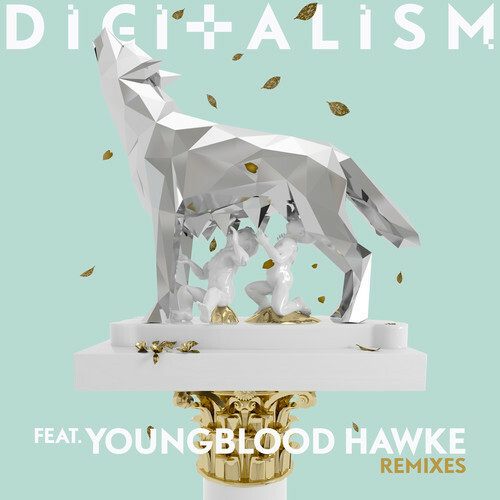 Despite Digitalism’s European techno and EDM background, ‘Wolves’ is an upbeat and catchy track with American indie-pop vibes, courtesy of vocals from Youngblood Hawke, who focused on the classic EDM from the 70’s. The track was released on 14 July under their own Magnetism Records and a new album in 2015 is imminent.